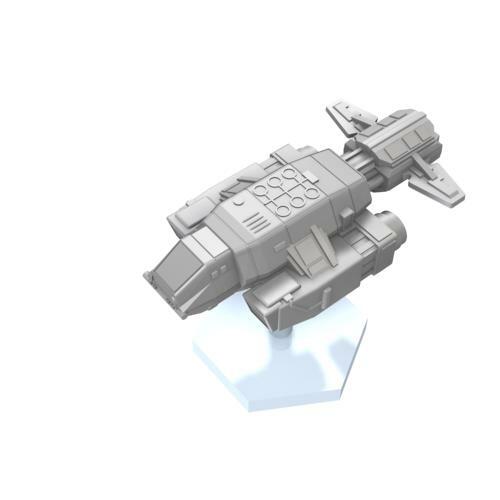 This is the first 0-hr small ship set. 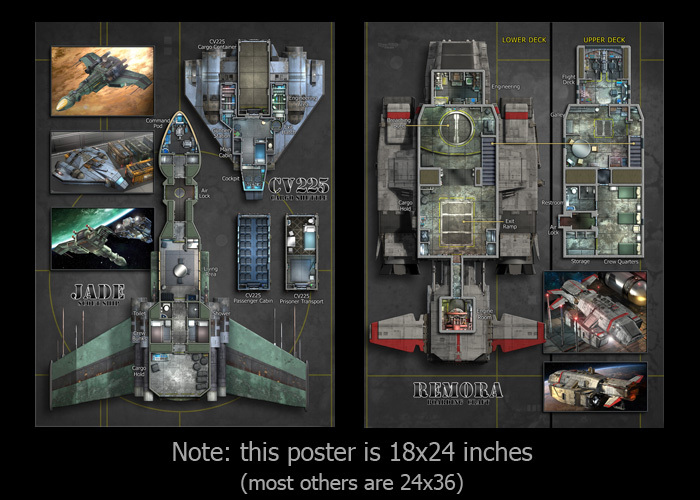 It features a half-sized poster and three ships: the scout ship Jade, the Remora boarding craft, and the Cavalo CV225 Cargo Shuttle. 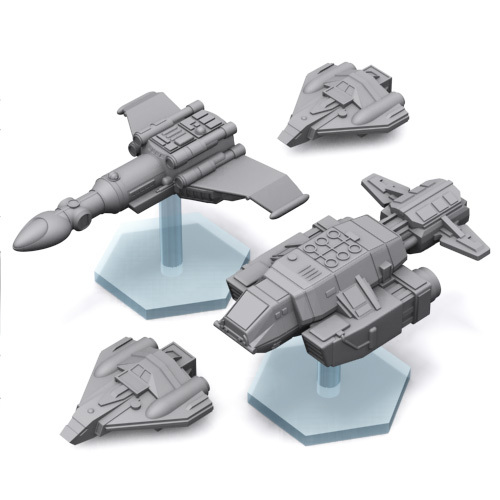 The original designs are from Future Armada:Redux Alpha, Future Armada:Mercury Trio, and Armada Codex:Cavalo. The trio of small craft fills up both sides of this 18x24 inch poster. The front and back of one poster are displayed above. 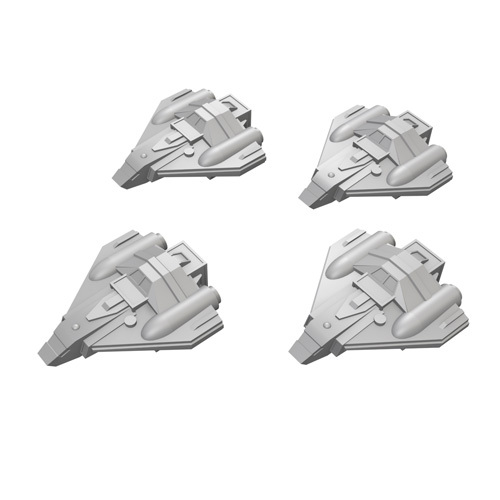 The set of miniatures sold above includes 1 Jade, 1 Remora, and 2 CV225 Cargo Shuttles. 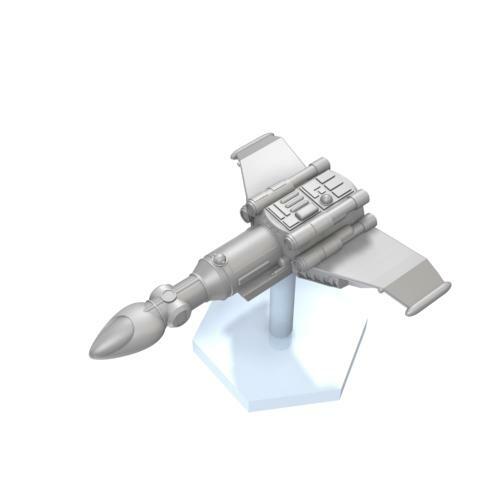 Individual Jade and Remora models, plus 4-packs of cargo shuttles, are available below. A clear 1-inch hexagonal stand is included with each Jade and Remora. The shuttles do not use stands.